Great Italian food in a family-friendly atmosphere. Mountain Goat Market offers interesting, unusual casual fare and funky household and decorative items in a mountain/country atmosphere. A good place to grab a bite to eat for lunch. Fresh made sandwiches and salads, featuring Boars' Head meats and cheeses. The Smoke House Restaurant is owned & operated by the Oliver family, offering service to travelers crossing Monteagle Mountain since 1960! Enjoy a home-style cooked meal and then relax in the award winning motel or one of their private cabins. Open daily, offering year-round vacation opportunities for family, friends, business, events, or weekend getaways. Pearl's is the longest running fine dining establishment on the mountain. Sourced locally and served fresh. BYOB -- there is a $5 cork fee. Ivy Wild owner and chef Keri Downing has transformed Sewanee's old Steam Laundry Building into a wonderful fine dining restaurant. Ivy Wild is committed not only to seasonal and local ingredients, we are absolutely smitten with food. Each plate is a testament to the time, thought, energy, and passion we put into our work. Singaporean cuisine in a hip, cool atmosphere. 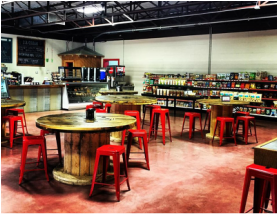 ​The Blue Chair Café & Tavern is where the community gathers, whether sitting back with a book or iPad (free wi-fi) and a great cup of coffee, or meeting a friend or business client over lunch, or even playing trivia on a Tuesday night with a craft beer. 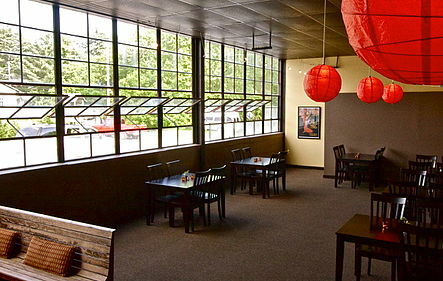 Classic coffeehouse on the campus of the University of the South, run by students. 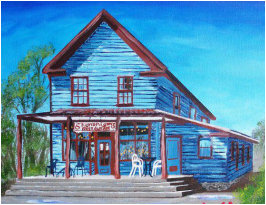 ​A classic college hangout since 1974, Shenanigan's features great food, cold beer, and the most excellent carrot cake on the planet! 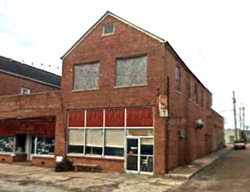 The Dutch Maid Bakery in Tracy City is on the Historic registry for being the oldest family owned bakery in the state of Tennessee. Cindy Day and her team make the same breads, cakes and pastries that the Baggenstoss family crafted for nearly 100 years! Many folks feel this is some of the best Mexican food on the Mountain! Whether you stop in for lunch, make a reservation for tea or book a catered party, you are in for a treat. Spotless white linens, fresh flowers and the unique China setting for each table give a different "feel" to dining at Tea on the Mountain. But it's the food that counts, and that's where you can't go wrong, whether you choose a dish from the menu or one of Myrna's daily specials. Authentic Mexican food, quick service, reasonably priced. Featuring sandwiches, plate lunches, sundaes, wizzards, shakes and cones made with soft serve ice cream. 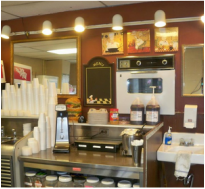 Family owned and operated for over 40 years, Brown's Dairy Bar offers everything from hot lunches and dinners to the coolest of treats. Located on Highway 108 in Gruetli-Laager, the menu includes everything from hamburgers and fries to chicken tenders and pizza. Check out the signature peanut butter shake or a hot fudge cake for dessert! Aunt Wanda's pride and joy! Open at 7am, serving breakfast 'til 10, with a selection of soups and chili, salad, sandwiches, wraps, pinto beans and cornbread, and a nice selection of fresh homemade desserts. Plate lunches served on Fridays.